Driving with children in the car. 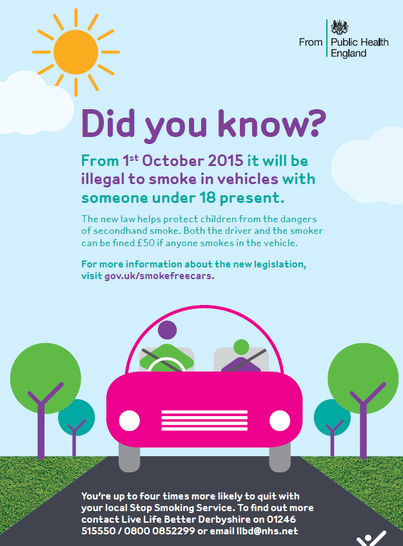 We've been asekd to remind parents of the following change in law that comes into effect on the 1st October 2015 when it becomes illegal to smoke in vehicles with someone under 18 present. Please visit www.gov.uk/smokefreecars for more information.